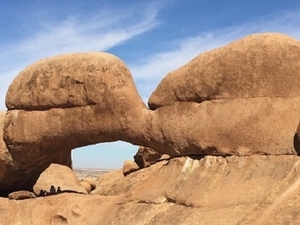 Any of our transformative Desert or Bush or Beach retreat offers, will provide you with an incredible opportunity to connect deeply with the elements and energy of nature. Travelling through Namibia awakens your emotions and senses, colours becomes brighter, smells becomes more intense and your taste buds marvel with appreciation. After your inner rediscovery, your sixth sense will finds its mystical home and re-connects your soul! • 1 x 4x4 Toyota Double Cab plus super cover insurance. Arebbusch is the ideal place to experience Windhoek at the start of your trip. Arebbusch with wide open spaces, beautiful gardens, birdlife and wildlife. Arebbusch Travel Lodge nestles in natural surroundings on the banks of the dry Arebbusch River, offering a clean, safe and family friendly environment, far from the hustle and bustle of central city life, yet minutes away from the capital's shopping centres and attractions. Age-old camel thorn trees and unsurpassed 360 degrees views dominate the desert landscape towards the mountain-range in the distance. Fascinating Sossusvlei is one of the landscapes making the difference to the Namibian destination. Here, time stopped and you enter into the heart of the Namib Desert. Enormous pink and red dunes mixing with Granite Mountains embedded in yellow and pitch black plains where the Oryx antelope has made its kingdom. Dry white pans covered by dead trees. At Dune 45, the more energetic have the opportunity to climb to the upper ridge of the world's most photographed dune. Further along, a gradual 2.6 kilometer round-trip takes you to the well photographed “Dead Vlei”. Sossusvlei is at the ‘end of road’ and the highlight of the day. We also visit the rugged Sesriem Canyon, where the Tsauchab River and erosion have incised a narrow gorge over the millennia. The permanent water pools at its bottom have ensured the survival of nomadic populations in pre-historic times as well as that of early European explorers and the so-called Thirstland Trekkers, in more recent centuries. Today’s destination is the cool Atlantic Coast and the quaint town of Swakopmund. En route to Swakopmund you will explore the Namib Desert with the rugged Kuiseb Canyon. Stop at the eerie moon landscape and marvel at the Welwitschia Mirabilis, an ancient plant endemic to the Namib Desert. En route we will explore the Namib Desert with the rugged Kuiseb Canyon, while driving along the Swakop riverbed. Take a walk through town and enjoy the mixture of colonial flair and historic architecture in Swakopmund (the historic town, the Woermannhouse, the Hohenzollernhouse, the old Magistrates Court, the historical Jail and the Jetty and the lighthouse. After arriving in Swakopmund you can explore the popular coastal resort on your own and spend time at leisure or with shopping. 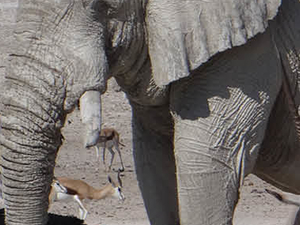 A visit to the Etosha National Park is one of the highlights of travelling Namibia. 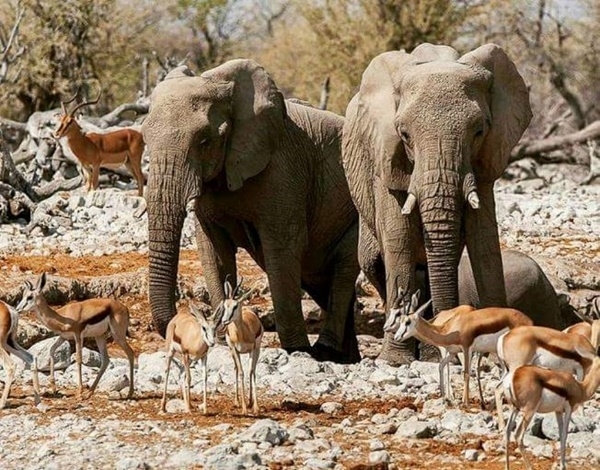 Etosha, which was declared a game reserve by the German colonial administration back in 1907, covers an area of more than 22 000 square kilometres. In its centre lies a vast saltpan surrounded by grass and thorn savannah, Mopane bush land in the west and dry forest in the north-east. About two million years ago, this area was an enormous lake, fed by the Kunene River. However the lake slowly dried up because over time, the river changed its course. The Etosha National Park has a good infrastructure. Well-maintained gravel roads lead to the waterholes, where game viewing is at its best. In the three rest camps Okaukuejo, Halali and Namutoni, hotels, chalets and camping sites are available as well as restaurants, stores and swimming pools. The main entrance to the park is called the "Anderson Gate" at Okaukuejo in the south, where the park administration is also situated. The "Von Lindequist Gate" lies in the east near Namutoni. A new gate, the "Nehale lya Mpingana Gate" (King Nehale Gate) was opened at the beginning of 2003 in the north-east. The pan is just about always dry. However, in the southern parts there are have water-holes scattered throughout this area and form the basis of life for countless game. Be it a lion or an elephant, a giraffe or a zebra; almost all African animal species are represented in the huge nature reserve, approx. 22 000 square kilometres in size. There is an estimated number of 250 lions in the park, 300 rhinos, 2 500 giraffes, 6 000 zebras and more than 2 000 elephants. The dainty springbok are especially numerous, at least 20 000 of them roam the reserve. Often, they can be observed in enormous herds of several hundred animals. Arebbusch is the ideal place to experience Windhoek at the end of your trip. Arebbusch with wide open spaces, beautiful gardens, birdlife and wildlife. 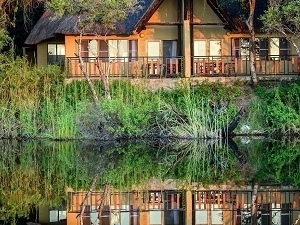 Arebbusch Travel Lodge nestles in natural surroundings on the banks of the dry Arebbusch River, offering a clean, safe and family friendly environment, far from the hustle and bustle of central city life, yet minutes away from the capital's shopping centres and attractions. Day 10: Return flight from Hosea Kutako. – 16 July 2019. • Any extras and personal spending. • Namibia and RSA self-drive Tours and Safaris undertakes to provide all services offered subject to terms and conditions set out herein, which terms and conditions are accepted by the self-drive guest. • When the tour is confirmed, a 50% deposit of the tour price due is required within 48 Hours. The balance of the tour price must be settled not later than 65 days before the intended departure date. If the full amount, is not received by the Company 65 days prior to the tour, the Company reserves the right to cancel the reservation and retain a 20% non-refundable amount received from the client or his agent. Bookings made within 30 days of the departure date must be accompanied by the full payment. 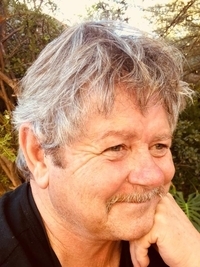 • If the quotation is in ZAR (South African Rand), it is subject to the USD/EURO/POUND/or Any other currency EXCHANGE rate and the quoted ZAR rate much matched. • Cancellations made more than 30 days prior to arrival will not normally result in cancellation fees being charged. 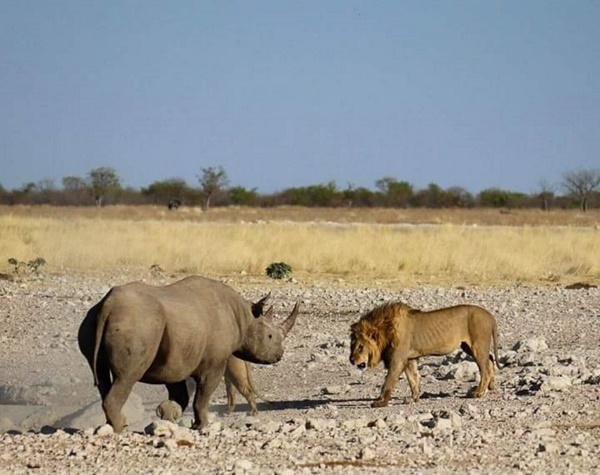 However, NAMIBIA AND RSA SELF-DRIVE TOURS AND SAFARIS reserves the right to cover any costs incurred or charges received from suppliers up to the date of cancellation. • We recommend that you ensure that your passengers take adequate personal cancellation insurance cover before departure from home. • NAMIBIA AND RSA SELF-DRIVE TOURS AND SAFARIS is not responsible for any damages sustained by any passenger as a result of any act or omission whatsoever of any hotel, airline or other person, notwithstanding the fact that NAMIBIA AND RSA SELF-DRIVE TOURS AND SAFARIS acted as agent of such hotel, airline or other person. 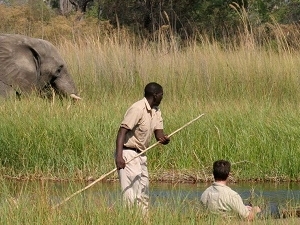 • You must be in perfect health to undertake any safari. You will visit remote areas with little or no medical facilities. NAMIBIA AND RSA SELF-DRIVE TOURS AND SAFARIS will only apply limited first aid as per their FIRST AID training and limitations there-off. • Comprehensive Travel Insurance covering cancellation, curtailment, medical, emergency travel and personal accident is compulsory. The client is aware that it is his responsibility to arrange adequate insurances. The clients must be satisfied that their insurance covers their personal requirements. • Baggage on tours will be limited to a maximum of 20kgs per person or otherwise stated. • You will require a valid passport. Please check with us, your local consulate or travel agent as to visa and passport requirements. It is you’re responsibly to ensure that your passport, visas and certificates are all in order before departure. We cannot be held liable for any passenger being refused entry into NAMIBIA/ BOTSWANA/ ZAMBIA for any reason whatsoever. • The Company reserves the right to use any photographs and video taken during tours for use in marketing or any other advertising material and the client hereby gives consent of such photographs to be used and for the Company for marketing purposes. • Unforeseen circumstances including but limited to war, weather, riots, and other unforeseen reasons beyond the control of the Company may cause delays or alterations to the tour. The Company shall not be held liable in any way for any of these possible occurrences or any consequences, which may arise as a result of these. • Accommodation will be provided as per itinerary. Accommodation is subject to availability at date of booking. We reserve the right to use alternative accommodation of similar or higher standard. No Touristlink, nós amamos viajar! Tem um grupo grande? Nós podemos ajudar. Nós podemos personalizar a viagem de acordo com sua necessidade. Podemos ajustar esse pacote de acordo com o seu orçamento. Explore lugares. Conheça os moradores e companheiros de viagem. Torne-se um usuário gratuito. Ter uma empresa de viagem? Destaque seu perfil e destacar as suas excursões e ofertas. Obter um anúncio grátis. Interagir. Diga oi. Seja ativo e apresentar-se em nossa comunidade. © Direitos autorais TouristLink.com 2019, Todos os direitos reservados.